Description: This map was created by FCIT and shows the waterways of Clay County. All major rivers, streams, creeks, lakes, and swamps are labeled. 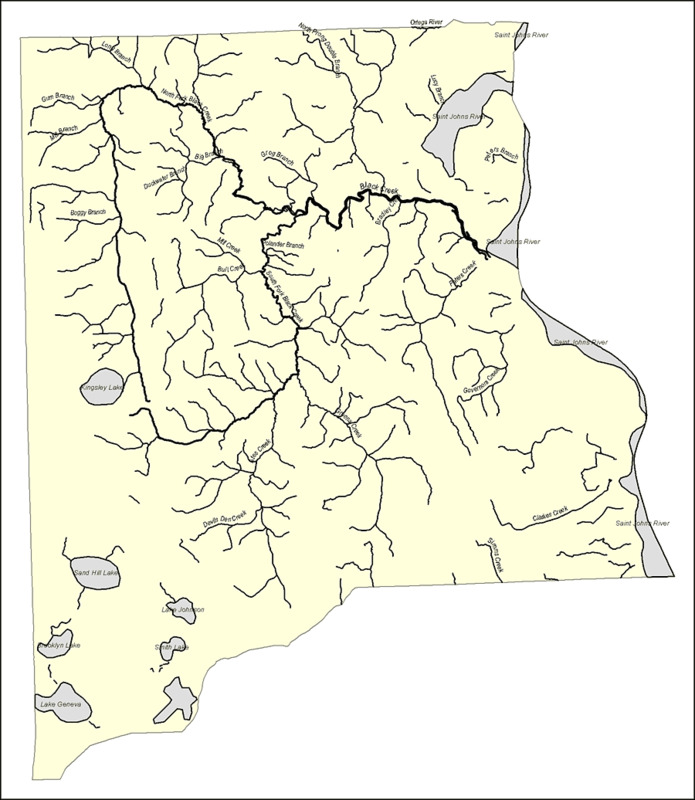 This map features Ortega River, Saint Johns River, Lucy Branch, Peters Branch, North Prong Double Branch, Grog Branch, Big Branch, North Fork Black Creek, Duckwater Branch, Bull Creek, Mill Creek, Polander Branch, South Fork Black Creek, Peters Creek, Governors Creek, Clarkes Creek, Simms Creek, Greens Creek, Smith Lake, Devils Den Creek, Ates Creek, Sand Hill Lake, Brooklyn Lake, Kingsley Lake, Lake Johnson, Lake Geneva, Kingsley Lake, Boggy Branch, Mill Branch, Gum Branch, and Long Branch.